Paul Vincent has had a storied hockey life. The Beverly native and former police officer has served as a coach and instructor of the game at all levels from youth to the National Hockey League, and has also served as a consultant. 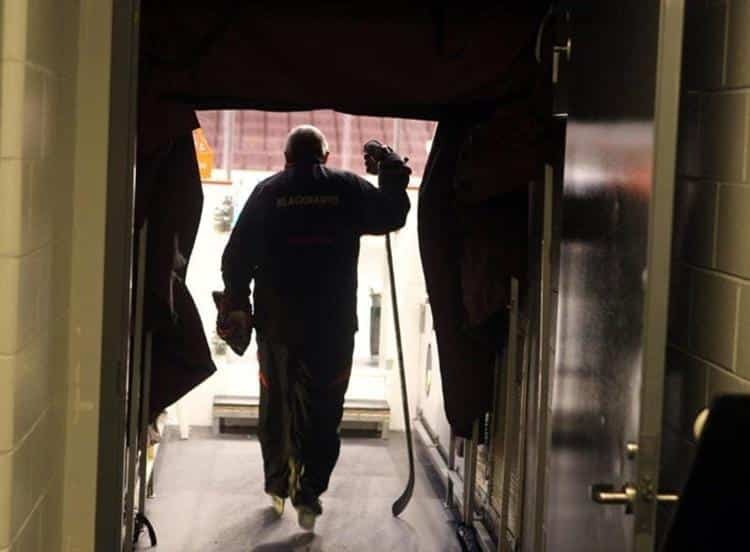 Saturday night, he’ll add another honor to his resume when he is inducted into the Massachusetts Hockey Hall of Fame at a ceremony and dinner at Hotel 1620 in Plymouth. Vincent has been working with players developing speed and skills for over 35 years. His PV Hockey camps are still going strong at several locations in the state, including Hockeytown in Saugus. There aren’t many — if any — men who can claim to have won a Stanley Cup championship (with the Chicago Blackhawks), an NCAA national championship (with RPI), a New England Prep School title (with Cushing Academy) and a Massachusetts state high school championship (with St. John’s Prep). But Vincent has one of each. “I really wish my first wife and my Mom and Dad were still alive to see this,” said Vincent. “I know they’ll be there in spirit, but without my Dad driving me to Lynn Arena every Saturday morning, it never would have happened. He will be inducted Saturday night along with Hockey East Commissioner Joe Bertagna, Paul Hurley, former Matignon, Pittsburgh Penguins and Bruins star Shawn McEachern, and Bernie Michals. John Garrison, Bruce Mather, Fred Moseley, and Alfred “Ralph” Winsor are also going in posthumously. “Joe is a great friend, I played hockey with Paul, and I helped Shawn, so it’s a nice honor to go in with them,” said Vincent. Vincent began his career helping young hockey players develop their skating skills right around the time hockey was taking off on the North Shore. He is still going strong and has no intention to slow down. “It was the perfect storm,” he said. “It kept growing from there and expanded to the point where I needed a lot of help. Vincent said one of the biggest rewards for him is seeing the youngsters he helps go on to have great hockey careers and be successful in life. He said that all of his former students who made it to the NHL would have done so without his help, but admitted he might have made the journey a bit easier. He has never forgotten what his own Beverly High coach, the legendary George Kinnally, did for him. Vincent credits three young hockey players from Beverly — Ian Paskowski, Johnny Boudreau and Jeff Kampersal (recently hired as the new women’s hockey coach at Penn State after a highly successful career at Princeton) — with getting it all going. Vincent has served as a consultant for many colleges including Boston College, Harvard, Northeastern, Providence, Brown, Dartmouth and UMass. 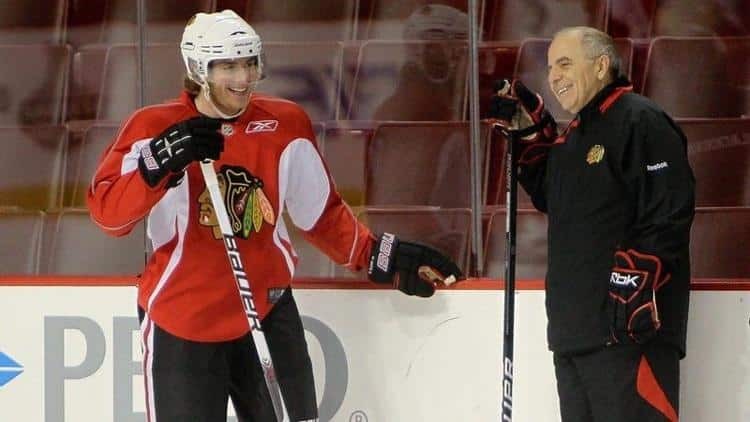 He has worked with the NHL’s Chicago Blackhawks (winning a Cup with that organization), the Boston Bruins, Tampa Bay Lightning, New Jersey Devils and Florida Panthers. “Florida let us all go, but my old boss got his job back so I’ll probably return,” said Vincent. 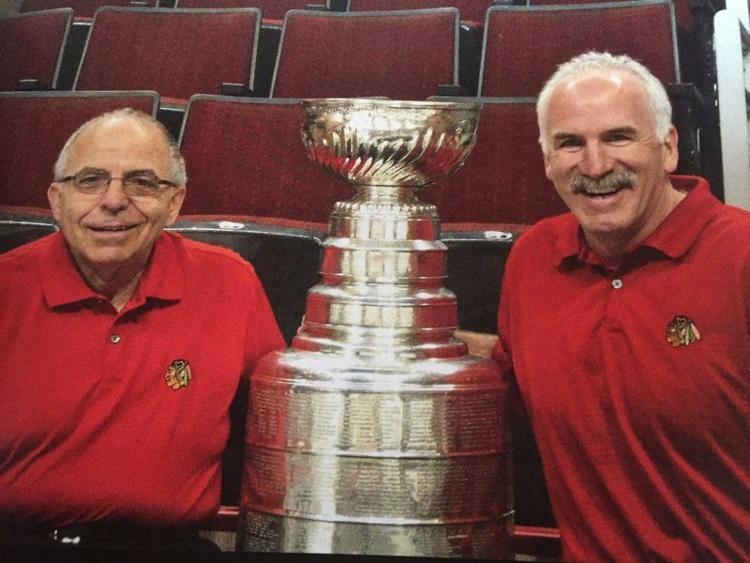 “We were on the right path there and I’d like to have another (Stanley Cup) ring. It also makes the most sense, because I have a house there.